This is an old photograph of Levitt Hagg on the South Yorkshire Navigation. Immediately to the west of Doncaster, lies a band of magnesian limestone bisected by the River Don. The flow of the Don over the millennia has created a steep gorge several miles in length, which is famous as the setting for Sir Water Scott's novel, Ivanhoe. The sheer sides of this gorge have long been quarried for their high quality dolomite and many local buildings, most notably the 12th century Conisbrough Castle, were constructed using the stone from these quarries. The history of Levitt Hagg is fascinating. In the eighteenth century limestone quarries opened in South Yorkshire to provide building materials. John Battie began quarrying operations. He had entered the quarrying business because the growth in population in the 18th century had created a demand for stone to build more houses. In 1750 quarrying operations started at the base of Warmsworth Cliffs in the Don Gorge near Sprotbrough and the hamlet of Levitt Hagg was established to house the quarry workers and workers employed in the boat yard. 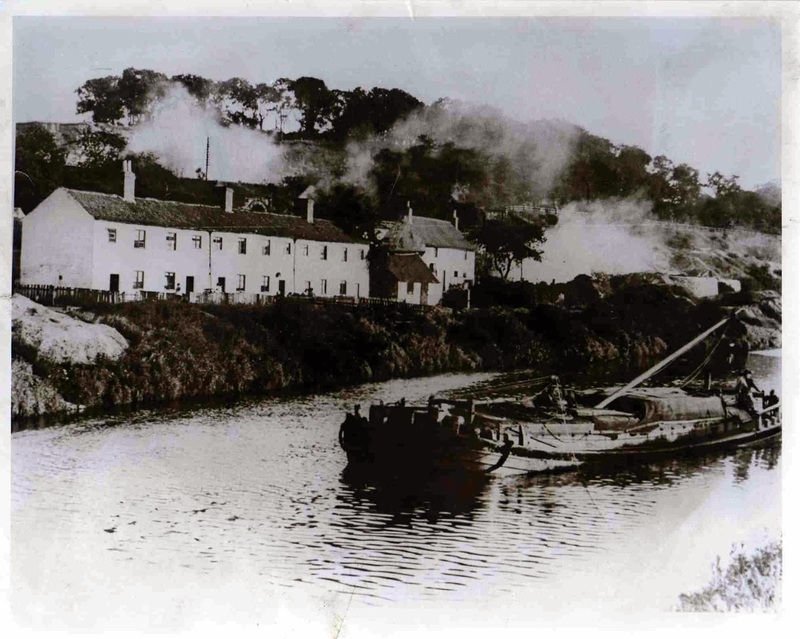 As well as quarrying operations, barges intended for use on the canals were built on the river side close to the village, the first one being completed in 1886. Further down the Don gorge are an impressive pair of abandoned limekilns, which are the only surviving structures in the once thriving quarry community of Levitt Hagg. The limekilns are built into the side of the gorge. Quarried limestone was carried to the limekilns, where it was burnt using local coal to produce dolomitic lime. This product was much in demand from the Sheffield steel industry, which in 1843 was producing 90 per cent of British steel and almost half of the entire European output of steel. Levitt Hagg produced its peak output of 23,000 tonnes of quicklime in 1876.